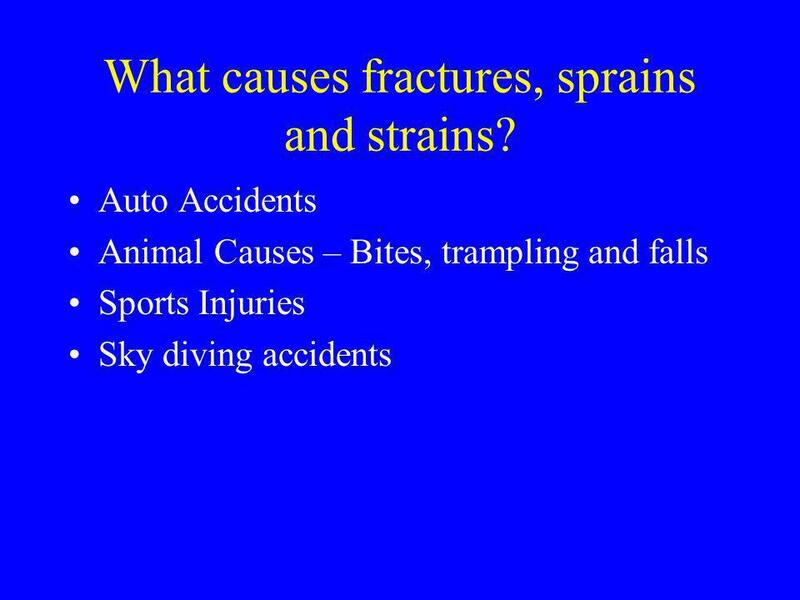 2 What causes fractures, sprains and strains? 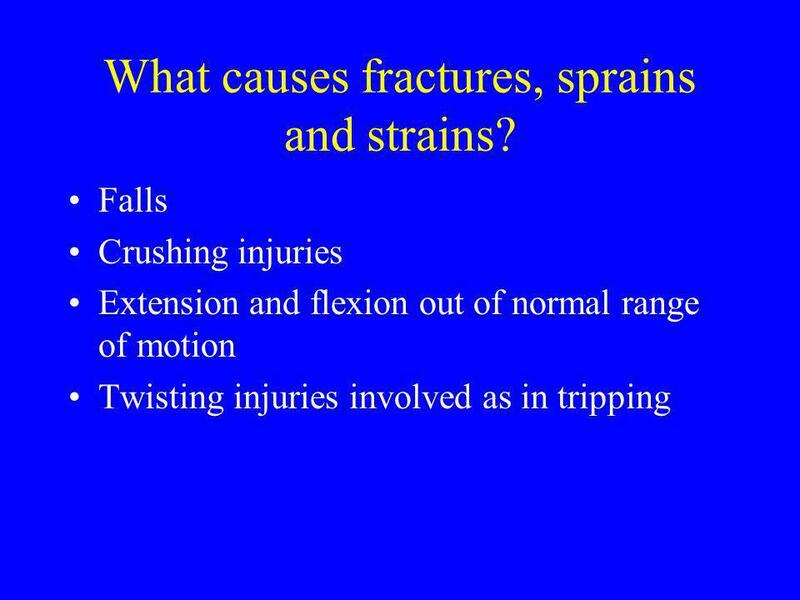 3 What causes fractures, sprains and strains? "A body continues to maintain its state of rest or of uniform motion unless acted upon by an external unbalanced force." 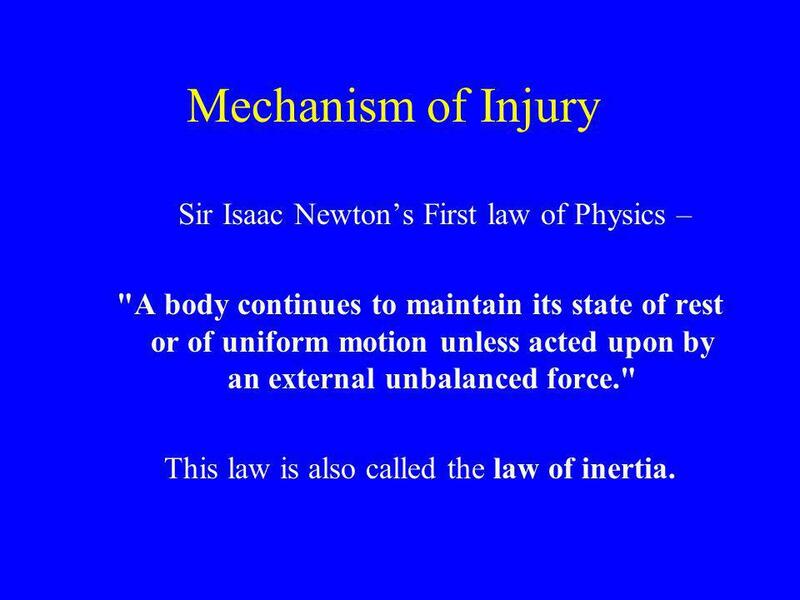 This law is also called the law of inertia. 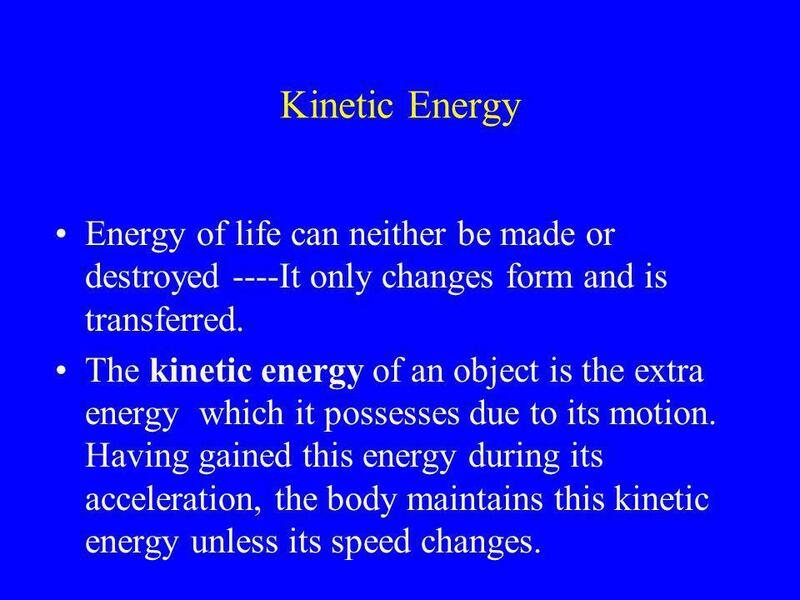 5 Kinetic Energy Energy of life can neither be made or destroyed ----It only changes form and is transferred. The kinetic energy of an object is the extra energy which it possesses due to its motion. Having gained this energy during its acceleration, the body maintains this kinetic energy unless its speed changes. 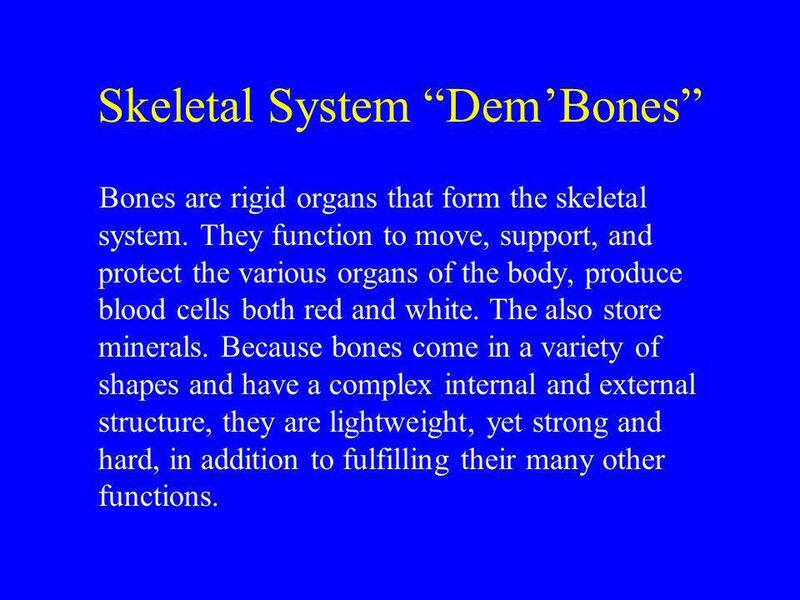 Bones are rigid organs that form the skeletal system. They function to move, support, and protect the various organs of the body, produce blood cells both red and white. The also store minerals. Because bones come in a variety of shapes and have a complex internal and external structure, they are lightweight, yet strong and hard, in addition to fulfilling their many other functions. 8 Ligaments In its most common use, a ligament is a short band of tough fibrous dense regular connective tissue composed mainly of long, stringy collagen fibers. Ligaments connect bones to other bones to form a joint. 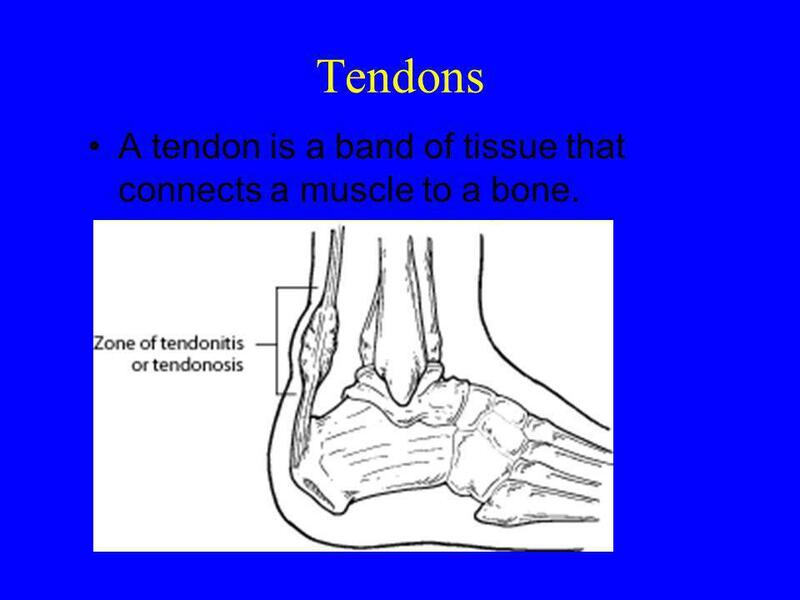 9 Tendons A tendon is a band of tissue that connects a muscle to a bone. Fractures – a break in the continuity of the bone. Open Closed Sprains – result from the stretching or tearing of ligaments. 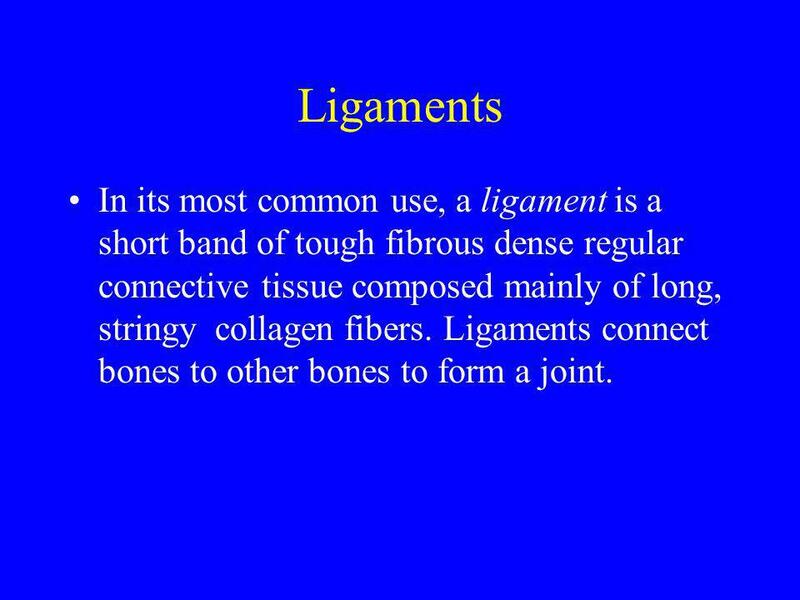 Ligaments are tough bands of fibrous tissue that connect one bone to another. Common locations for sprains are your ankles and knees. 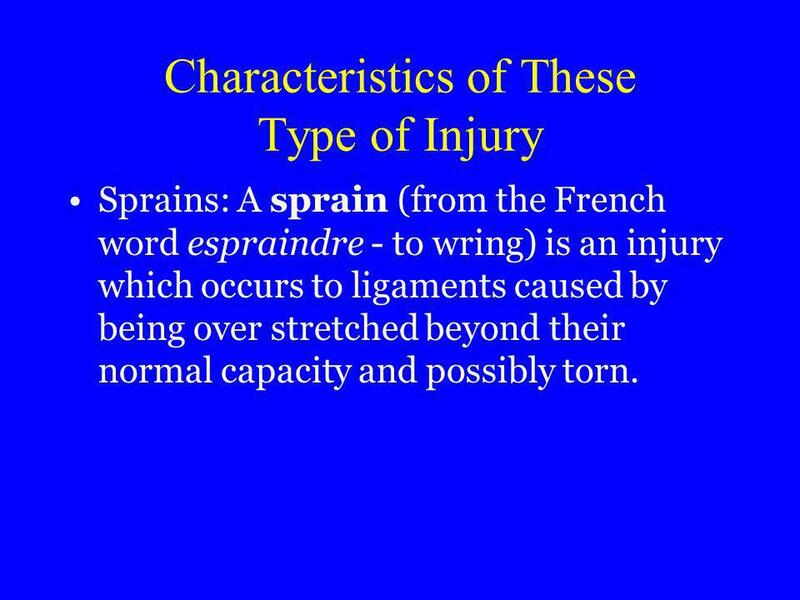 Sprains: A sprain (from the French word espraindre - to wring) is an injury which occurs to ligaments caused by being over stretched beyond their normal capacity and possibly torn. As always in any emergency asses, treat and maintain the A, B and C. Make sure the airway is open and patent. 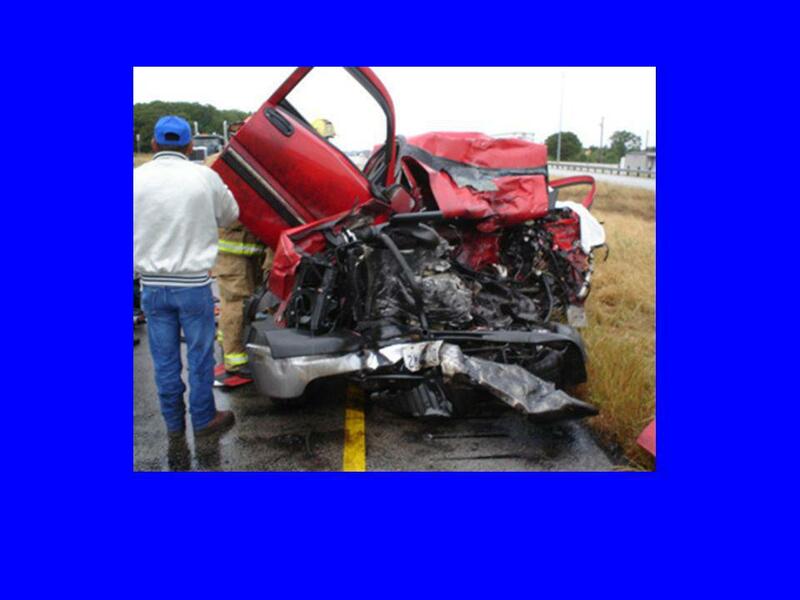 Open airway and suction if necessary. Make sure the patient is breathing. If not breathing give ventilatory/breathing support. Every 5 seconds for an adult. Make sure you have a pulse check the distal pulse of the area involved. You can check a pulse anywhere an artery crosses a bone. 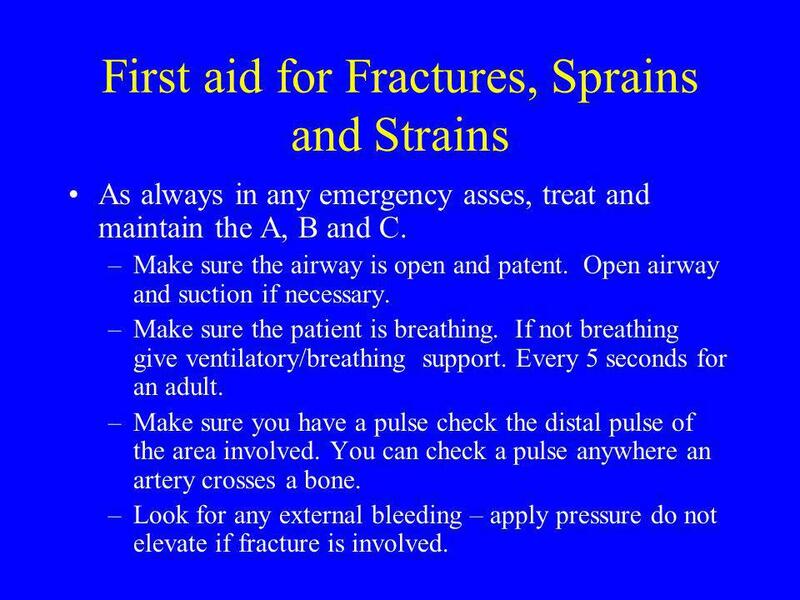 Look for any external bleeding – apply pressure do not elevate if fracture is involved. 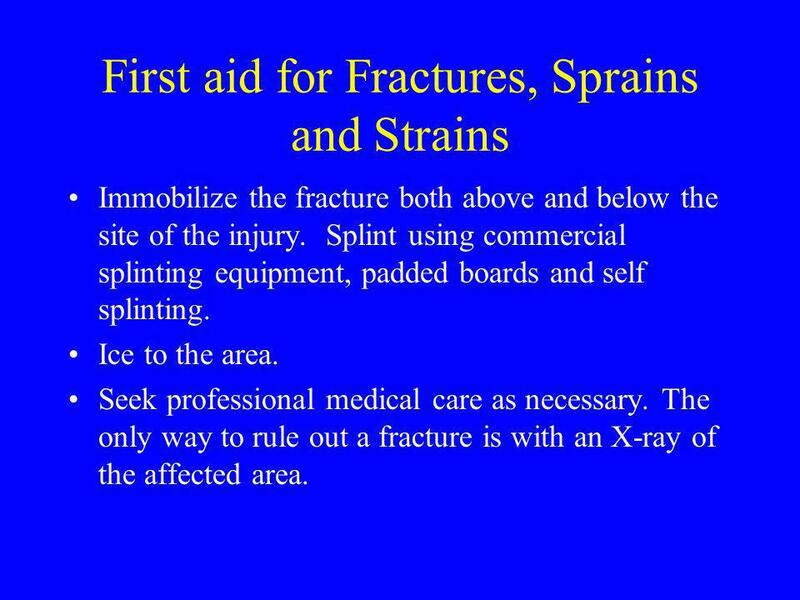 Immobilize the fracture both above and below the site of the injury. Splint using commercial splinting equipment, padded boards and self splinting. Ice to the area. Seek professional medical care as necessary. The only way to rule out a fracture is with an X-ray of the affected area. 18 Thanks for your attention and participation!!!! Any Questions???? 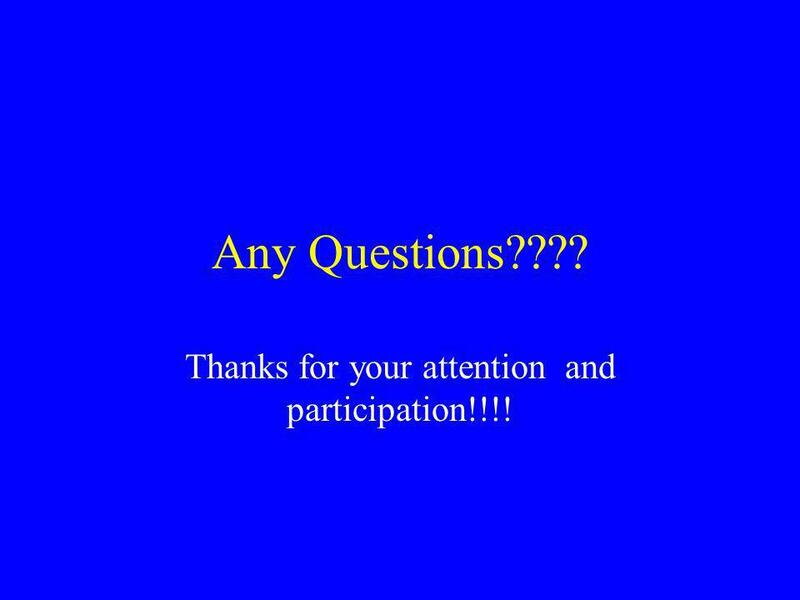 Thanks for your attention and participation!!!! 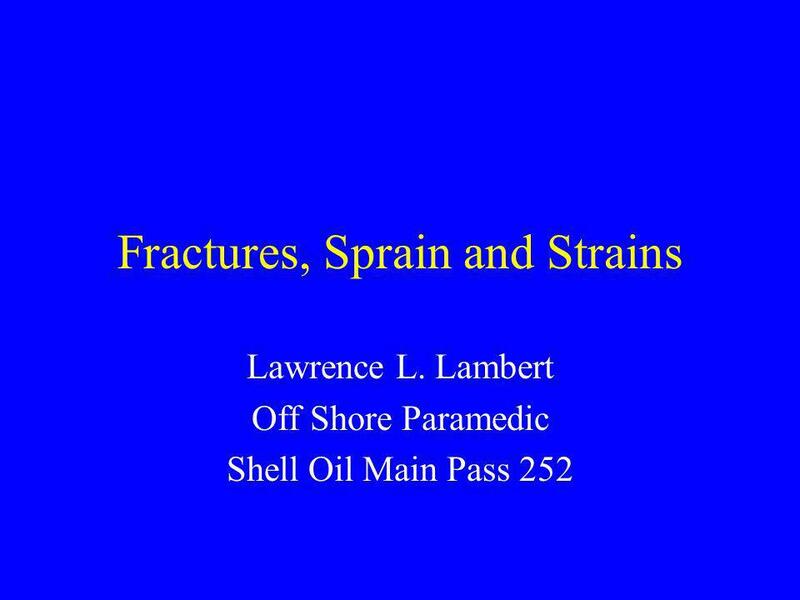 Download ppt "Fractures, Sprain and Strains"
Musculoskeletal Injuries. Anatomy of bone Formed of dense connective tissue Store salt and metabolic material Production of RBCs bone marrow Joints Bones. Sprain / Strain Josipa Karamarko Mentor: A. Žmegač Horvat. Abdominal & Genitourinary Injury EMT 100 Abdominal Injury –Closed or Open  Mechanism of Injury  Discoloration/Bruising  Swelling, Rigidity  Pain. 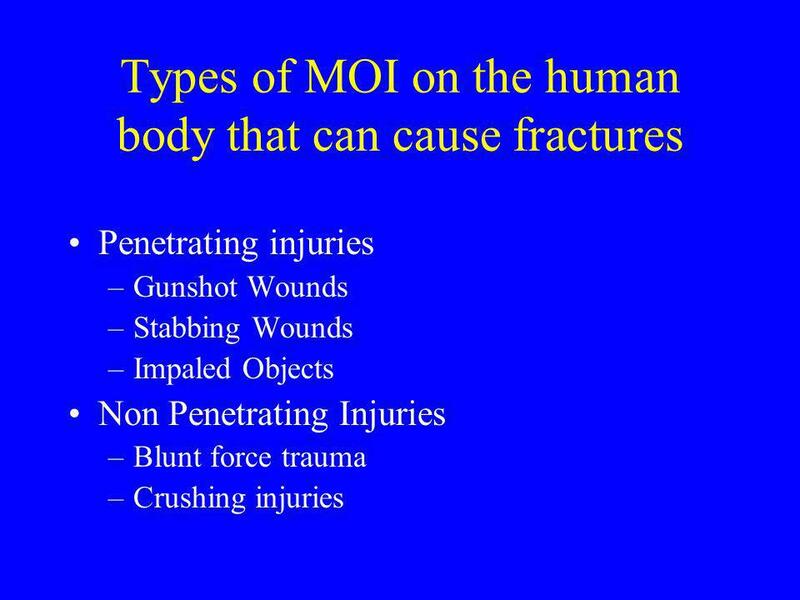 © 2005 by National Safety Council Serious Injuries Lesson 6. Kinematics of Trauma Chapter 21. Paul Halford, Director of Coaching - PA. West A First Aid Guide for the Youth Coach Care of Injuries. Common Sports Injuries. Recap from last class Joints – terms, types Range of movement in joints Structure and function of joints Different types of synovial. 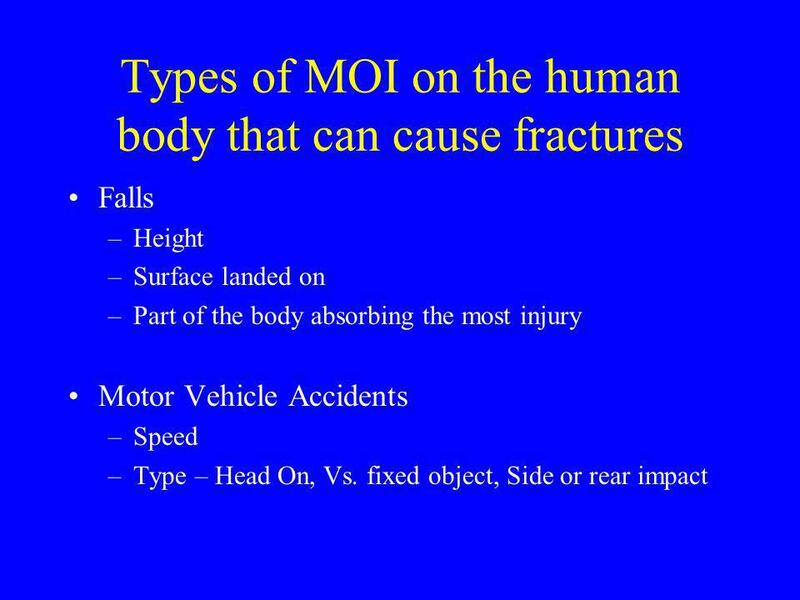 Emergency care for Musculoskeletal system. The Skeletal System The Musculoskeletal system consists of: - Bones (skeleton) - Joints - Cartilages - Ligaments. Extremities Care and Treatment. Extremities Assessment guidelines:  Look for signs and symptoms of fractures and dislocations  Remember D-O-T-S Deformity. 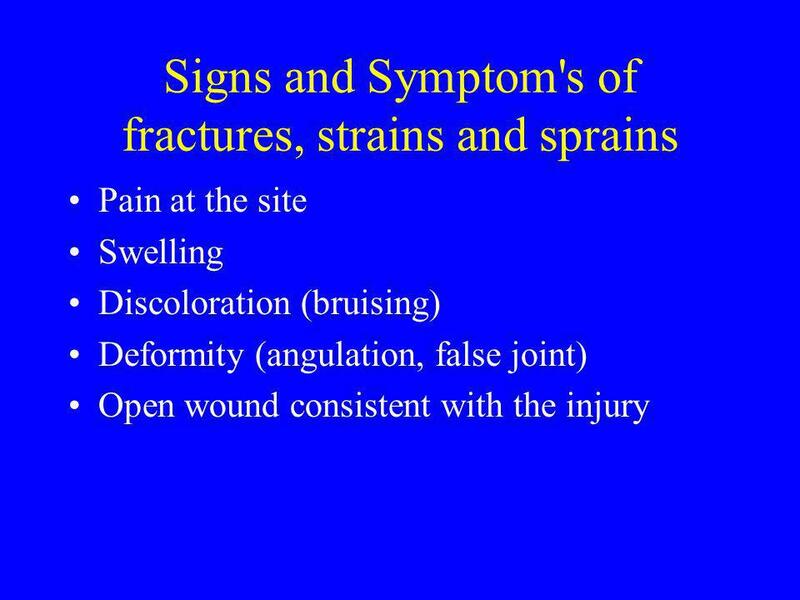 FRACTURES SPRAINS & DISLOCATIONS TYPE OF FRACTURE 2 l CLOSED l CLOSED FRACTURES »THE »THE BONE DOESN’T BREAK THE SKIN »A »A CRACK OR A COMPLETE SEPARATION. Fred Battee Iv.  Injury caused when playing a sport  Often due to overuse  At times could be traumatic. 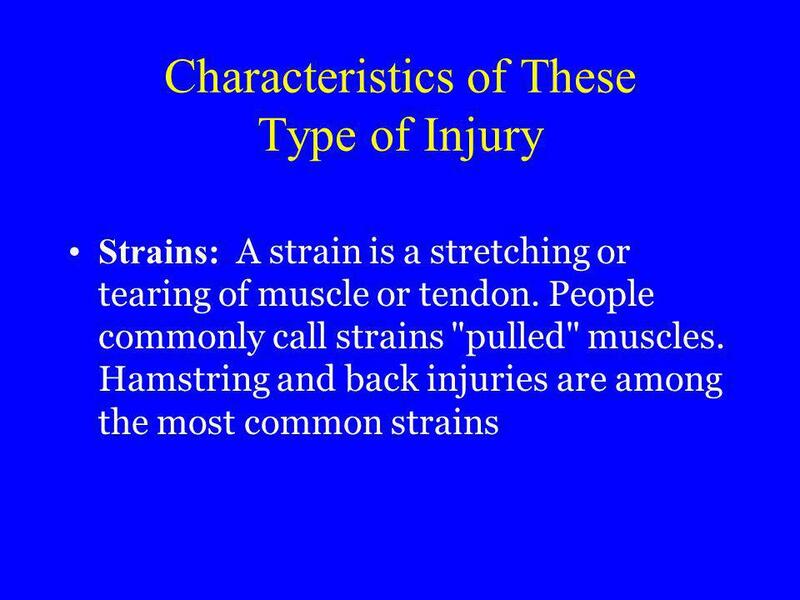 Soft Tissue Injuries. Daily Objectives Content Objectives Review the skeletal and muscular system. Gain a basic foundational knowledge regarding soft. SOFT TISSUE INJURIES Injuries to muscles, ligaments and tendons are often sport or activity related SPRAIN This is an injury to the ligaments surrounding. 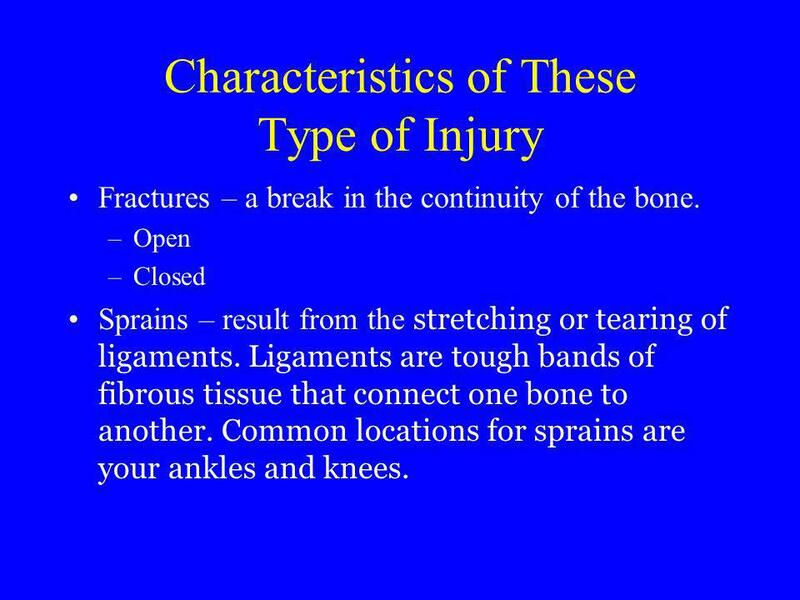 FRACTURES AND SOFT TISSUE INJURIES. FRACTURES A broken or cracked bone Great forces are required to break a bone, unless it is diseased or old Bones that.